Dongming Zhu is a senior Materials Research Engineer at Army Research Laboratory, Vehicle Technology Directorate, and Durability and Protective Coatings Branch of Structures and Materials Division, at NASA Glenn Research Center. 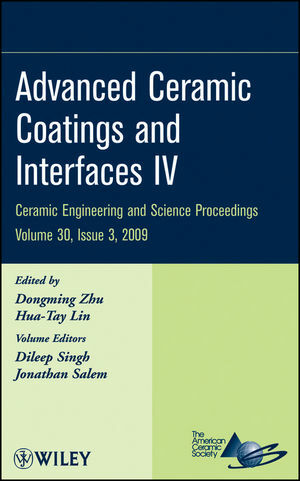 His expertise covers the areas of thermal conductivity, lattice defects and transport, high temperature oxidation, high-heat-flux testing, and mechanical behavior of ceramic coating systems, with an emphasis on experimental investigation and analytical modeling of processing, thermal fatigue and fracture behavior of advanced protective coatings and composites. His major contributions include the development of low conductivity thermal barrier coatings for turbine airfoil applications, 1650&deg;C thermal/environmental barrier coatings for SiC/SiC ceramic matrix composite turbine vane and combustor liner applications. He has authored more than 100 archival publications and three patents. He is a member of the American Ceramic Society and ASM, International, has been a lead organizer for several International Symposia. He is currently the Chair-elect of the Engineering Ceramic Division of the American Ceramic Society, and an associate editor of the International Journal of Applied Ceramic Technology. He has received several awards from NASA and professional societies. He received his Ph.D. degree in Chemical Engineering and Materials Science from the University of Minnesota in 1996.